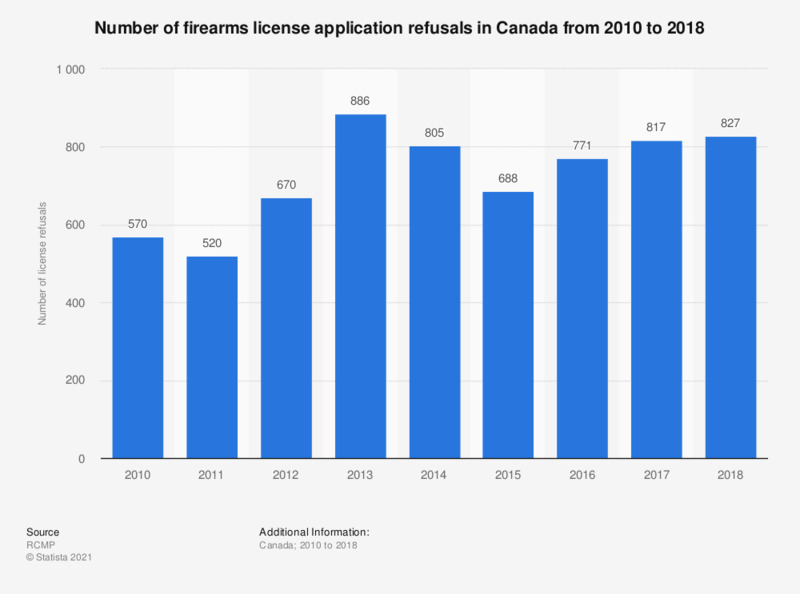 This graph shows the number of firearms license applications refused in Canada from 2010 to 2017. In 2017, there were 817 license application refusals nationwide. Data prior to 2013 is taken from previous reports.